I would have to say that the photographer Cindy Sherman is one of my favorite artists in the High’s collection. 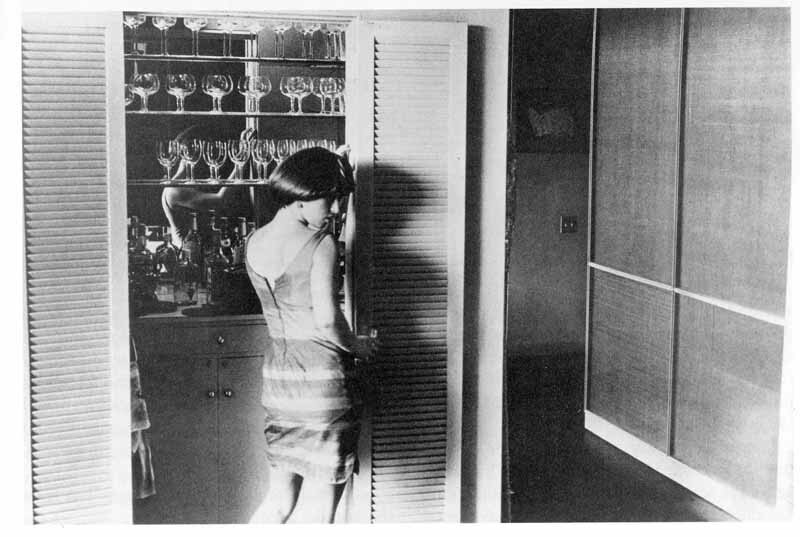 There is a really special photograph of hers that is in the museum’s Works on Paper room. Although the room is locked most of the time, you can steal a look at the piece through the glass doors on the Lower Level of the Wieland Pavilion. The piece is one from her “Untitled Film Stills” series, which looks like a snapshot from a 1950s era black and white movie. In this series she portrays herself in different situations that require the viewer to identify traditional female stereotypes. But, another interesting part of the series is that the viewer is also inclined to use their imagination while looking at these photographs and create a story around the images. The reason why I like Cindy Sherman as an artist is because she takes on a different role each time she takes a photograph. She shoots completely alone in her studio, so she is the director, the make-up artist, the hairstylist, the wardrobe consultant, and the model. She is always in her pictures, but it is not Cindy Sherman we see. It is a character she has created. See if you can find Sherman’s photograph on your next visit to the High. Erin asked me to choose my favorite work of art in the High’s collection and to write about it for the blog. She asked a loooong time ago but I just kept putting it off. I love so many pieces in our collection I had a hard time choosing just one to write about. But the other day I was preparing to give a tour of the Museum to some 4 year olds and as I thought about what would be most appealing to children this age, I immediately thought about the Reverend Howard Finster and his Paradise Garden. 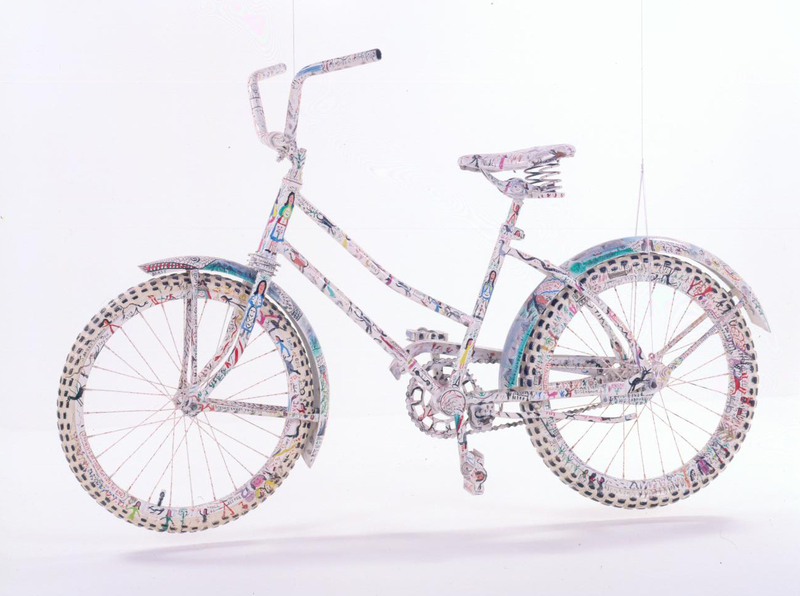 I have loved Howard Finster’s work since I was a teenager and I just knew that this group of pre-school children would appreciate his use of recognizable found objects like lanterns, marbles, broken tiles, and of course the bicycle. I also thought they would love his use of color and the many funny, smiling faces and winged people you encounter when you begin to really look at a Finster. And you know what ….I was right! We had such a great time looking at the pieces of Paradise Garden that are on display in the Folk Art collection and it reminded me of how proud I am to work at a museum that had the foresight to preserve this wonderful treasure created by a truly visionary Georgia artist. If you don’t know who Howard Finster is, dust off your old copy of R.E.M.’s album Reckoning. He did the cover art when he was not working tirelessly on his monumental environmental artwork that came to be known as Paradise Gardens. It was located in Pennville, GA and it was an amazing sight to see in its day. I can still remember how magical it felt to finally see his wonderful installation in real life after reading about it in books and talking about it incessantly with friends. And if I start to forget that magical feeling, I can wander up to the skyway level of the Stent Family Wing and find it again. Thank you to Virginia for sharing your favorite work, and next time you’re at the High make sure to visit Howard Finster’s work! It is really difficult for me to choose my favorite artist; there are just so many! One of my favorite artists on display at the High is Alfred Jensen. If you’ve visited the Museum, you’ve surely seen The Great Pyramid, his enormous painting that is on view on the Skyway Level. 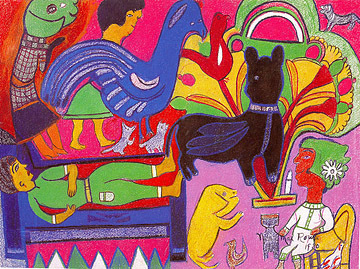 This painting combines two things I love: bold colors and ancient Egypt. What does it have to do with ancient Egypt? Look at all of the little dashes and curvy marks—those are the same symbols that the ancient Egyptians used for numbers. And the concentric rectangles? They look like an aerial view of a pyramid. As a museum educator, I am always thinking about the elements of art: line, shape, color, and texture. This painting utilizes all four of these to great success. How many different types of lines can you see? How many colors are there? Is the texture rough or smooth? Alfred Jensen worked in a very methodical, mathematical way. The colors, shapes, and patterns are mesmerizing. Take a long look at this painting the next time you are at the High, and your eyes may start to play tricks on you! 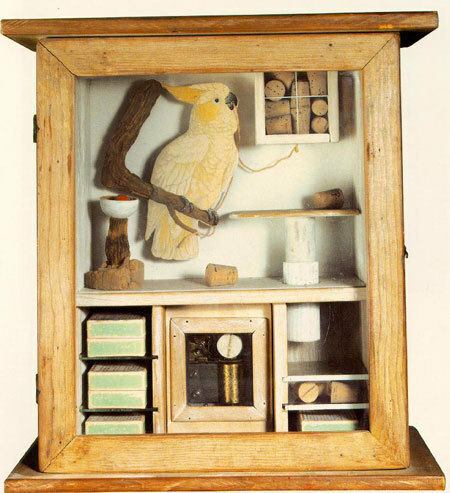 My favorite artist is Joseph Cornell because he reminds us that collecting is an art form. When I make art I gather materials from all sorts of places: nature, my closet, a thrift store, even the recycling bin. Joseph Cornell liked to make art this way too. When I look at the boxes he made I get to think of faraway places, time long passed, and the people who these things belonged to. 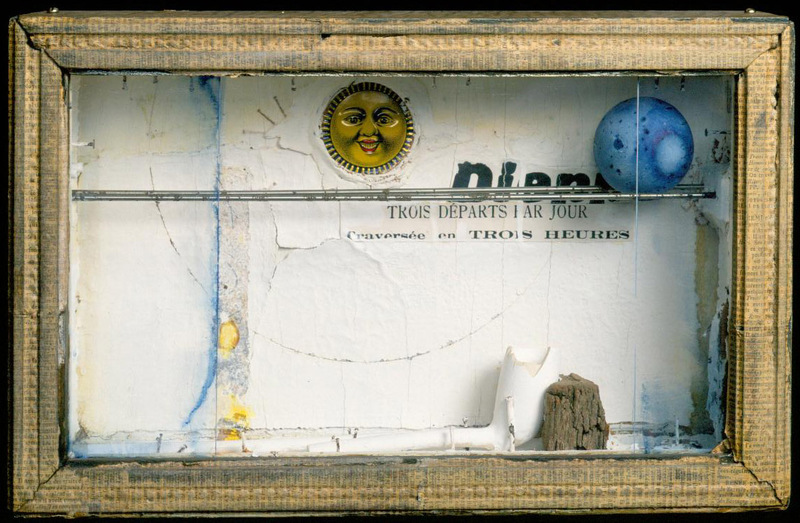 In his boxes are found materials like birds, balls, paper dolls, newspapers, and parts of broken clocks. By making these collections he reminds us that beautiful things are around us all of the time, even things we don’t initially see as beautiful. I try to imagine why Cornell put these particular items together. Are they revealing a secret? Do they tell a story? Are they a visual poem? Could they be someone’s treasures, or are they a mini-museum of forgotten things? I like Joseph Cornell because he makes me wonder. If you would like to see one of Joseph Cornell’s “treasure boxes” visit gallery 404 at the High Museum of Art. Ok… my favorite artist in the High’s collection is Gerhard Richter. I love Richter because he is so incredibly versatile. He’s an amazing draftsman—he can reproduce an image from a photograph in oil paint with all the detail and clarity of the original. But it’s his abstract work that moves me the most. He never ceases to experiment with the possibilities of his medium and frequently invites the element of chance into his painting process.